We have lots of snakes in South Florida, in the Everglades region — and like other parts of the country, most are non-venomous, with a few poisonous critters thrown in for good measure. 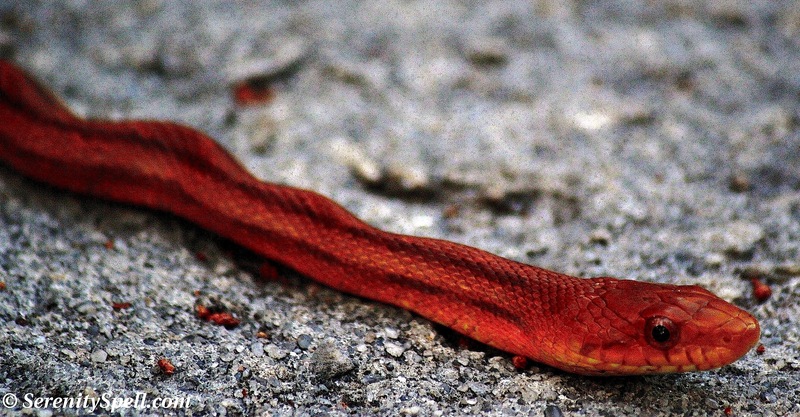 The Cottonmouth, Rattlesnake, and Coral Snake are Florida’s more notable poisonous snakes — but there are only 6 species that are venomous and a known danger to humans. SIX! The remaining are non-venomous, and vital members of our ecosystem. But if you’ve seen the Discovery Channel of late — or the History Channel’s “Life After People” series — you’ll know of the Everglades’ relatively new and constant battle with pythons. In fact, just recently on August 15, the biggest python was captured in the Everglades National Park — a female measuring 17 feet, 7 inches, and carrying 87 eggs. WHOA. Wrap your head around that size (and egg quantity) for a moment. While she broke records, these invasive pythons continue to wreak havoc on native Everglades wildlife; these snakes that were brought to Florida as a result of the relaxed regulations in the trade of exotic reptiles are decimating the local populations of a sensitive and threatened ecosystem onto which they were set free. 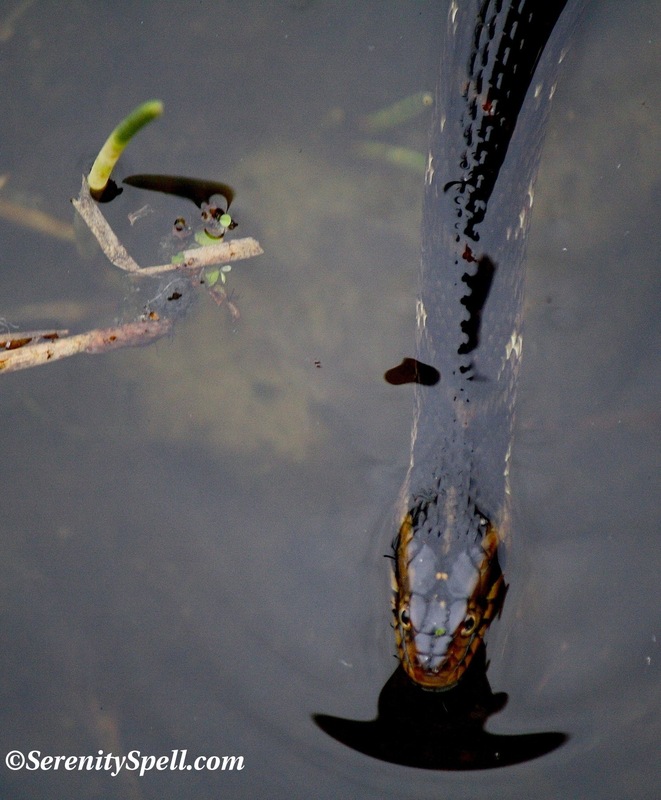 But fortunately, I didn’t see her; I saw water snakes during our last venture! 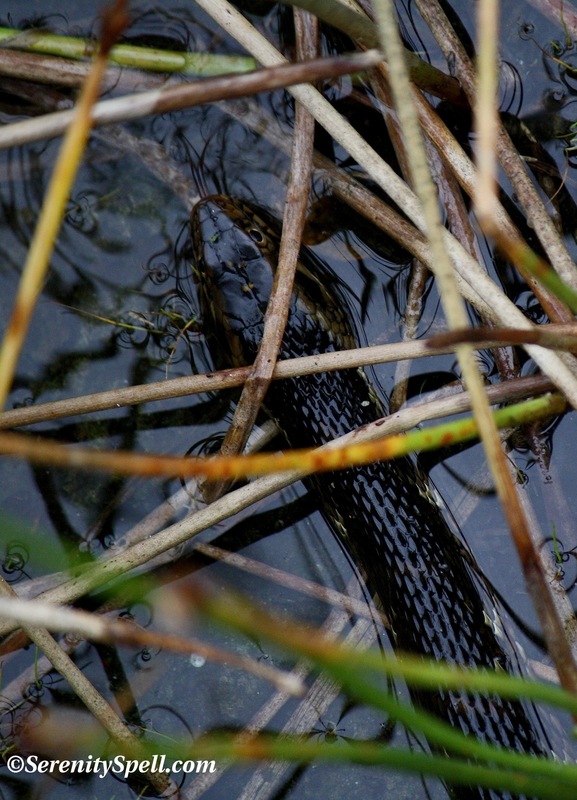 This guy is a common water snake in our area — the Florida Banded Water Snake. They prefer freshwater habitats, and can be found in the shallow waters of wetlands, swamps, marshes, ponds, lakes, streams, and rivers. They’re native to the peninsula, and to the extremities of southeastern Georgia, and feed on live and dead fish and amphibians. 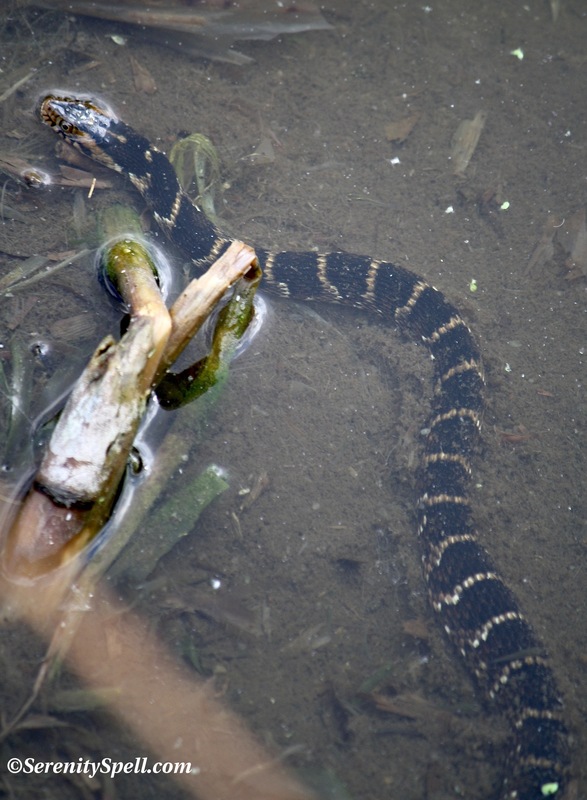 Like other snakes, the Banded Water Snake plays a vital and significant role in our ecosystem. As predators, they feed on a variety of creatures, and can control the rodent populations. Snakes are also important prey for other species of predators. 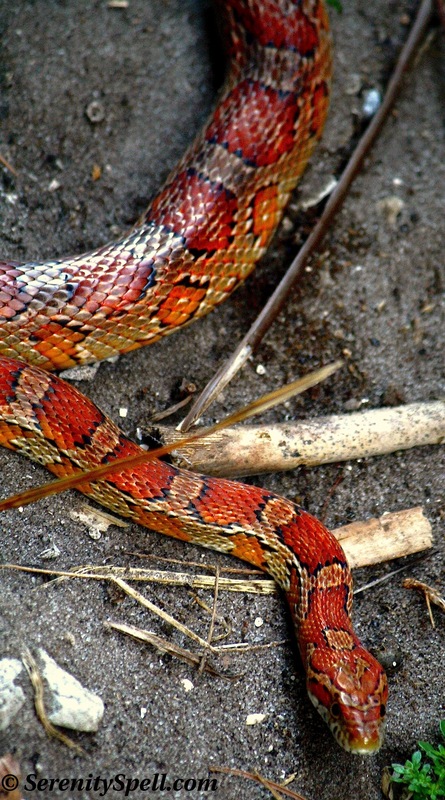 The presence or removal of snakes from any area affects the overall health of many ecosystems — and continued development threatens snakes’ survival. I see a swimming ssssnake! 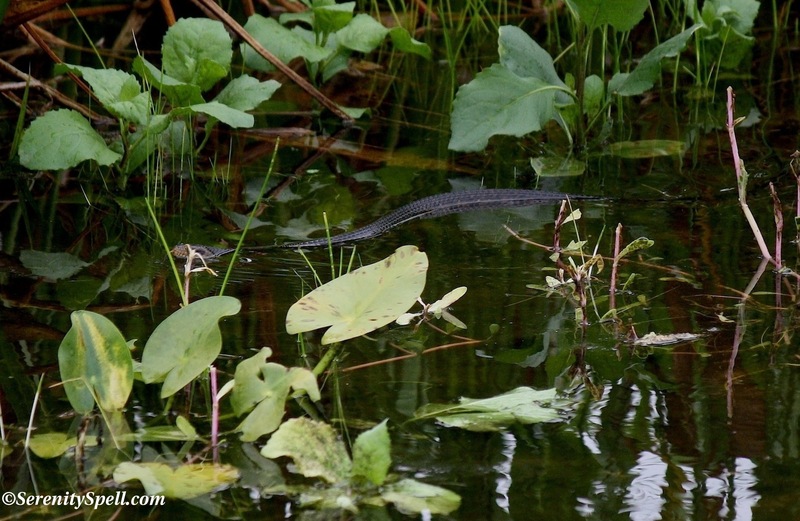 We often encounter snakes on our hikes — water and land snakes. Sometimes, we’re not sure if they’re venomous, and we ALWAYS leave them alone. Well… Except for the hurt Cottonmouth in the road we saved. And those snakes we knew to be non-venomous, like the very large Brown Water Snake that somehow ended up in my interior closet (how he got there, I’ll never know…?). Even the kitties were frightened of that poor scared — and massive guy. Most snakes aren’t aggressive and will flee when humans approach, so they’ll only defend themselves — striking out or biting — if they’re feeling cornered, threatened, or are handled. An inordinate amount of snakebites are on the hands and arms, due to handling snakes. Be smart, and above all else — be respectful of wildlife and their land. 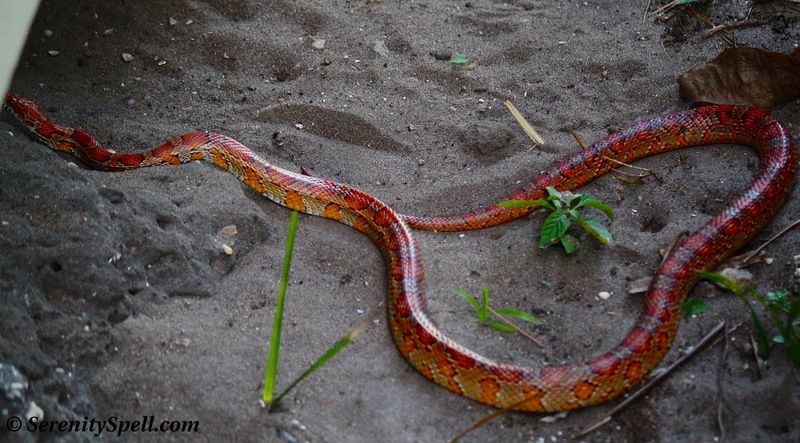 Visit the blog Hinterland Village Resort, for a post on A Snake Rescued in India! 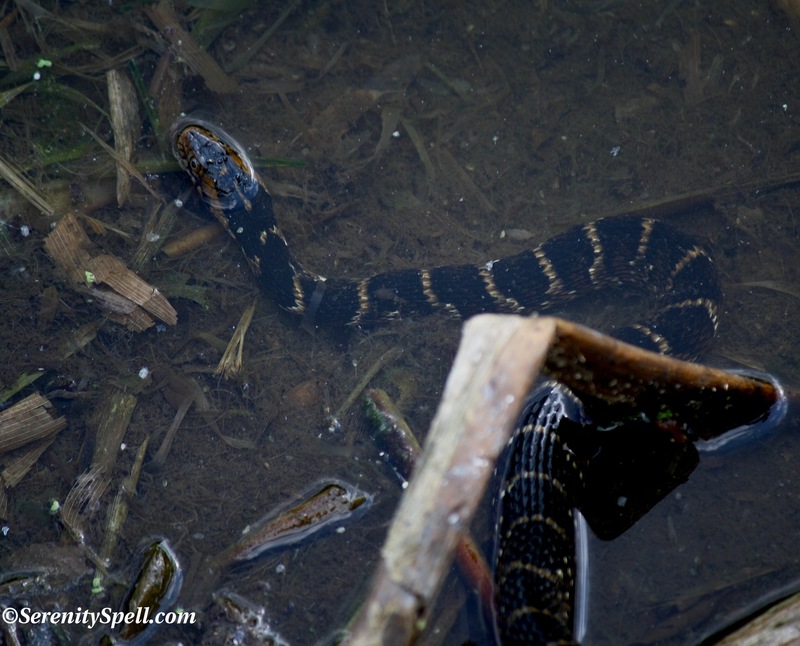 Unlike land snakes, which lay eggs, the Florida Banded Water Snake bears live young! Mating occurs during the mid-winter and spring, and litters of 20 – 30 young are born in the late spring through summer. Baby Banded Snakes are 7 – 10 inches at birth.